Single lane Sachet Machines form, fill and seal sachets. Multi-lane Stick Pack Machines form, fill and seal multiple stick packs for high output requirements. Multi-lane Sachet Machines form, fill and seal multiple sachets for high output requirements. 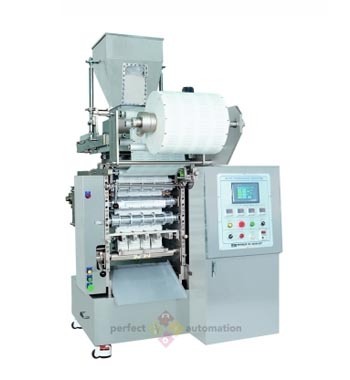 The HSP-606 Powder/ Granule 3 Side Sachet Packing Machine is a servo driven machine this uses photo sensors for the sealing and cutting positions. 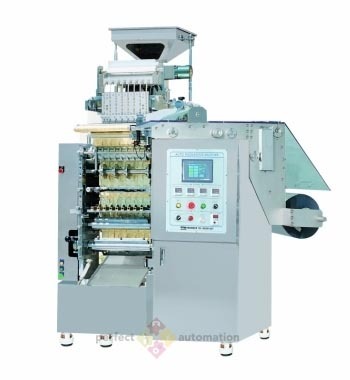 This is a fully automated Sachet Packing Machine that is used for packaging of powder and granulated products. The HSS-303 Stick Packing Machine is designed for continuous high speed operation. This machine uses a weighing cup method for product filling and minimises film wastage. The HSS-303 Stick Packing Machine is user-friendly, easy to clean and maintain. 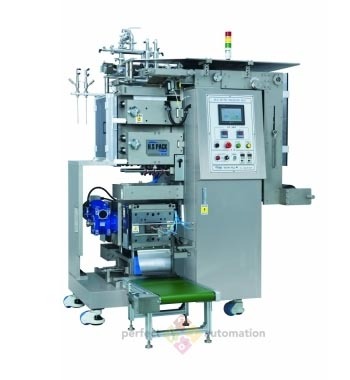 The HSL-201 Liquid Sachet Packing Machine is a continuous high speed machine that has up to 6 lanes. The technology employed in this machine reduces leakages and eliminates costly film wastage. The HSL-201 Liquid Sachet Packing Machine has an easy operational interface and is easy to clean and maintain. 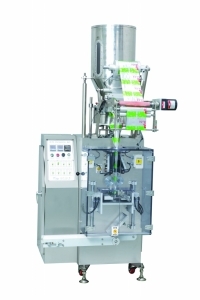 The HSL-202 Liquid Sachet Packing Machine is a continuous high speed machine that has up to 6 lanes. The technology employed in this machine reduces leakages and eliminates costly film wastage. The HSL-202 Liquid Sachet Packing Machine has an easy operational interface and is easy to clean and maintain. 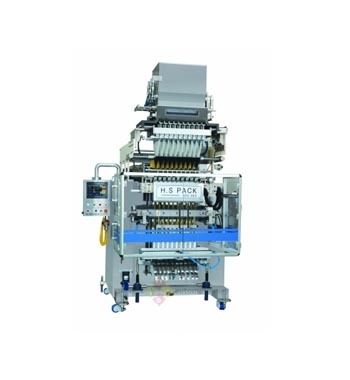 The HSL-203 Shape Pouch Packing Machine is an automatic packing machine that produces various shaped pouches using a 4 side sealing method and sealing/cutting moulds. The HSL-203 Shape Pouch Packing Machine has been designed to reduce leakages and eliminate costly film wastage. This machine has an easy-to-operate interface and is easy to clean and maintain. The HSP-101 Powder/ Granule Sachet Packing Machine is a servo driven machine that is used for filling and sealing various powder and granulated products. 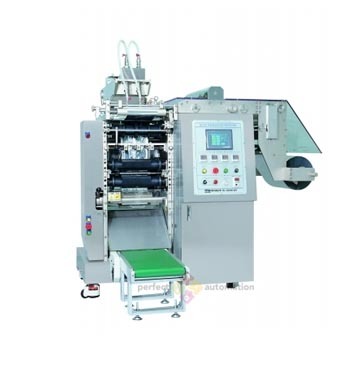 The technology employed in this machines reduces leakages and eliminates costly film wastage. The HSP-101 Powder/ Granule Sachet Packing Machine is easy to clean and maintain, and has a user-friendly interface. 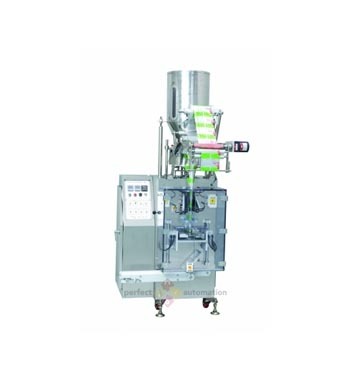 The HSP-102 Powder/ Granule Sachet Packing Machine is a servo driven machine that is used for filling and sealing various powder and granulated products. 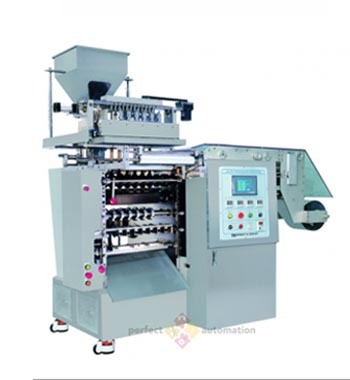 The technology employed in this machines reduces leakages and eliminates costly film wastage. The HSP-102 Powder/ Granule Sachet Packing Machine is easy to clean and maintain, and has a user-friendly interface. Copyright © 2019, Perfect Automation . All Rights Reserved.